Walk with Cham at Bearstown Ski Resort. 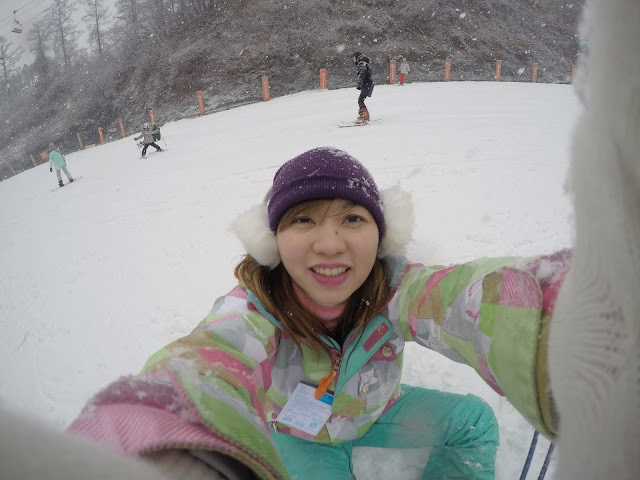 Because it was our first time to experience winter, it was a must to try winter sports activities. 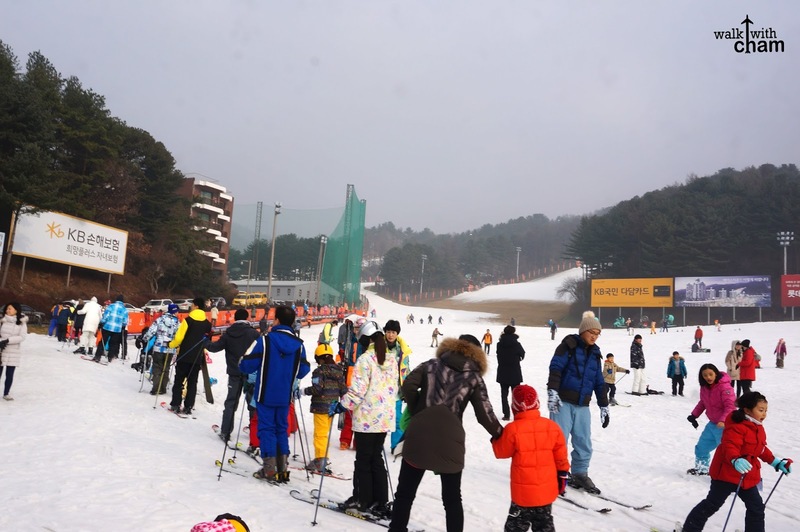 Luckily, my family and I were able to try a few popular sports activities in South Korea, 1 hour 30 minutes away from Seoul. 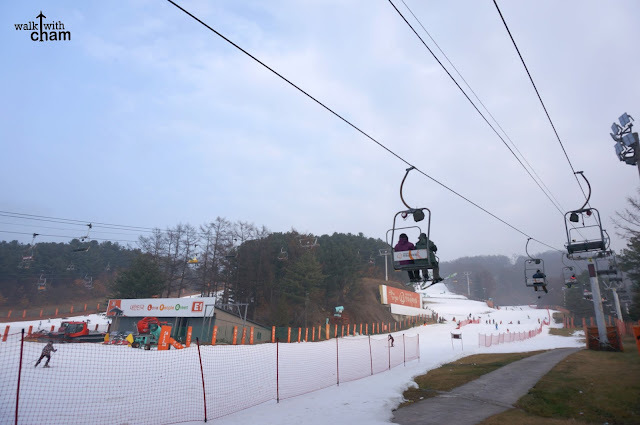 Bearstown Ski Resort is one of the many ski resorts in South Korea. 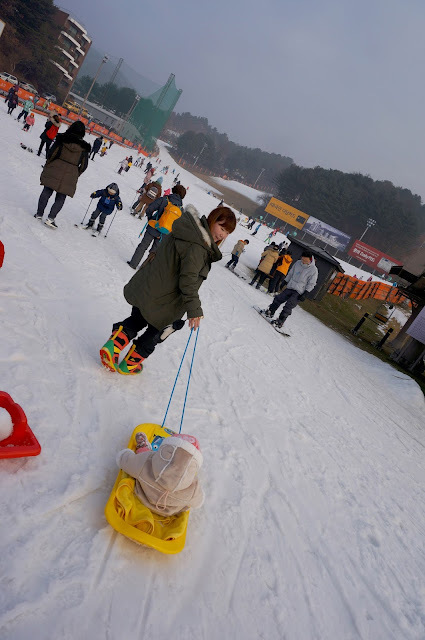 Because this is the closest ski resort from Seoul, this was our preferred destination. Here you can do several winter activities like skiing, snowboarding and sledding, they also offer ski lessons for those of you who want to learn the sport further. 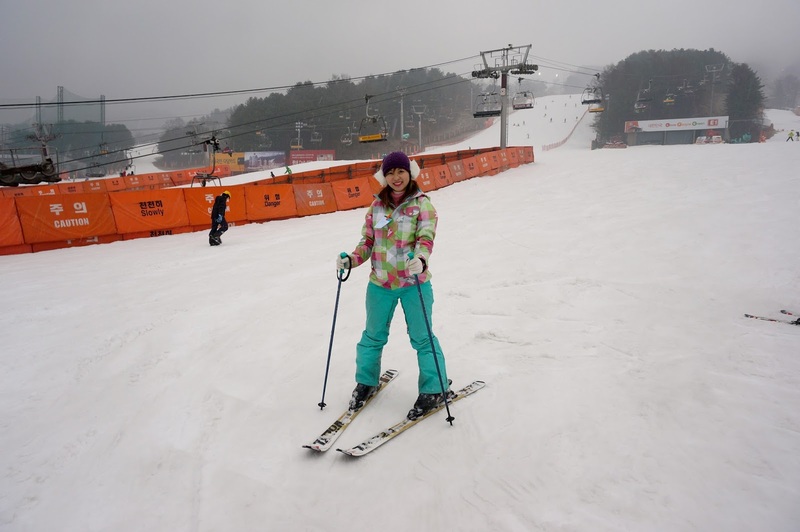 The ski resort comprises of different levels of slope depending on your skill. The fastest from our loft is at City Hall which has a direct line. We almost didn't make it as I couldn't find my subway card but fortunately we were just right on time, the shuttle was already there waiting for us, it was around 7:09! Close call indeed! Kindly check Bearstown Ski Shuttle for further information on how to book and pay. At 8:30 am we finally arrived, I could not believe my eyes - I was actually seeing a real snow! Huraaay! Our winter wonderland dream finally came true and it was just the beginning. I wanted to try skiing while my brother wanted to try snowboarding. Fees depend on the time you want to do it. My parents figured they're too old for these so they skipped all these activities and instead just took photos and waited for us. The lift is totally optional especially if you are a beginner like me but if you want to take on the challenge and want a great view of the snowy hill then do it at your own risk. hehehe. Ski School is also available and from what I read the fee is about 52,000-55,000 won (P2,030-2,150) and because we were feeling like an expert and didn't want to spend too much, we didn't avail of it. Good luck to us! We only availed the morning rental because we really just wanted to experience it. 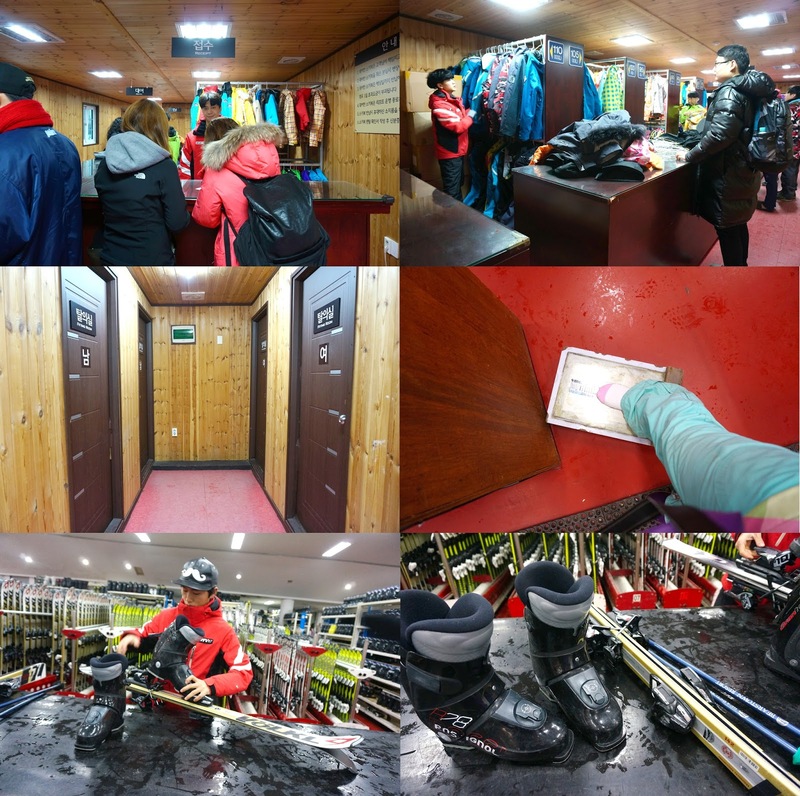 I rented skiing equipment, outfit and lift for a total of 43,500 won (P1,700). 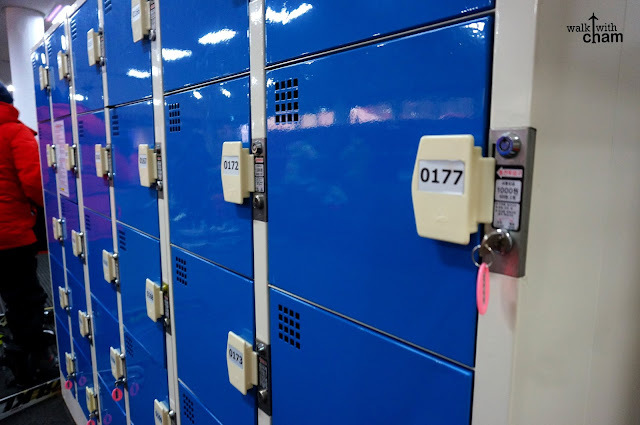 Kuya and I walked our way towards the rental area, we first claimed our outfits, changed, got our equipment then stored our stuff in the locker. Locker costs 1,000 won (P40). 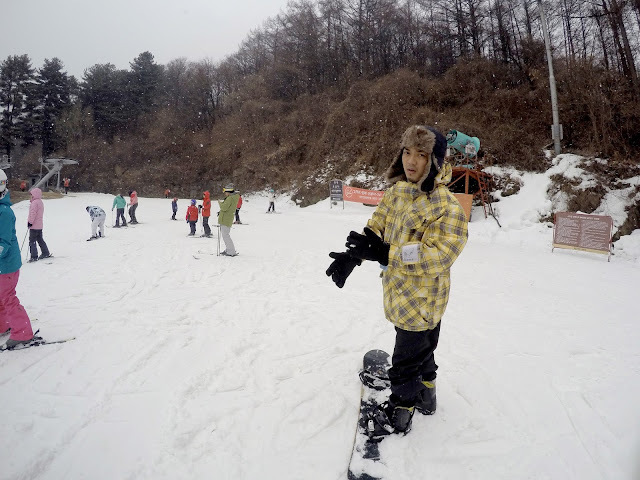 As soon as we were done, I hurriedly tried my gear and practiced a little before going to the actual slope. Boy, it was hard! And in just 5 seconds I fell. ouch! 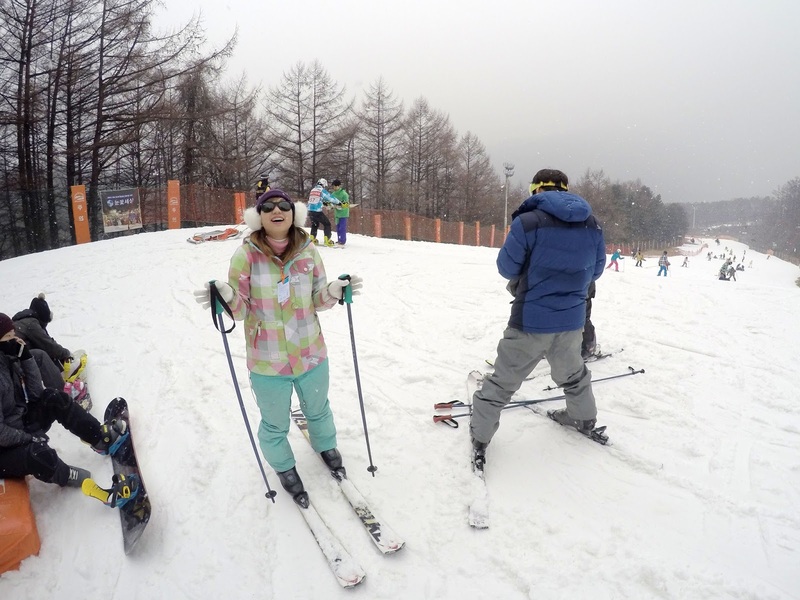 There are a total of 11 slopes that vary depending on the level of difficulty and skill. 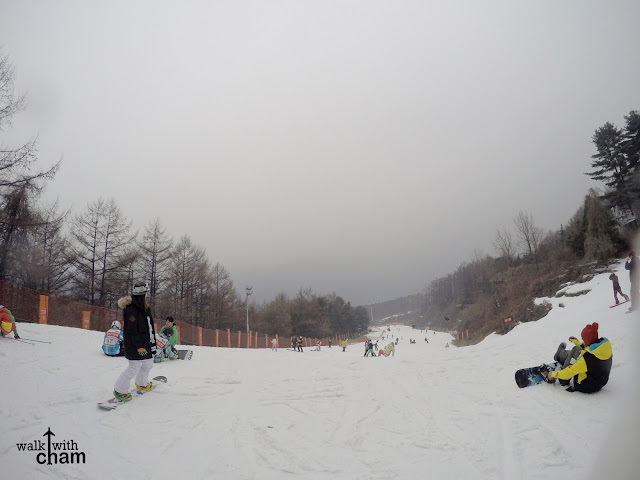 We tried the Family Slope which is for beginners (this was a bit hard to accept because I had a hard time going down so this is definitely not for beginners, or maybe this is for beginners. 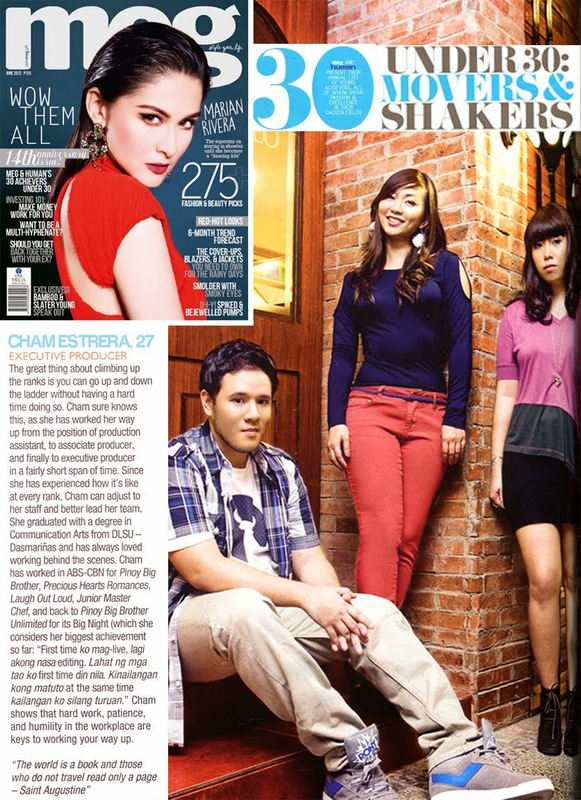 I'm not just a beginner, I'm a natural klutz). There are 8 lifts and lift riding can be done countlessly within the rented time. Atop the slope we were mesmerize with the surroundings, everything was white accented by the withered trees on the side. It was such a pretty sight! If there was one thing I never regret going up the lift was this view. it. was. awesome. It's so pretty! I'm in love!!! Kuya's ready to snowboard, or is he? So yes, I felt so overwhelmed and giddy with all the snow around as if I was just dreaming and nothing could ruin my thunder. I breathed deeply, prayed and worked my mojo on the snowy hill. 1.. 2.. 3.. Weeeeeeeh!!! Okay so my mojo didn't entirely worked at the moment because after my first fall it was followed by another fall, and another fall and another and another… This went on and on as if I was in a sitcom. If only there were cameras around, you'd see all my falling exhibitions - you'd probably laugh your hearts out. 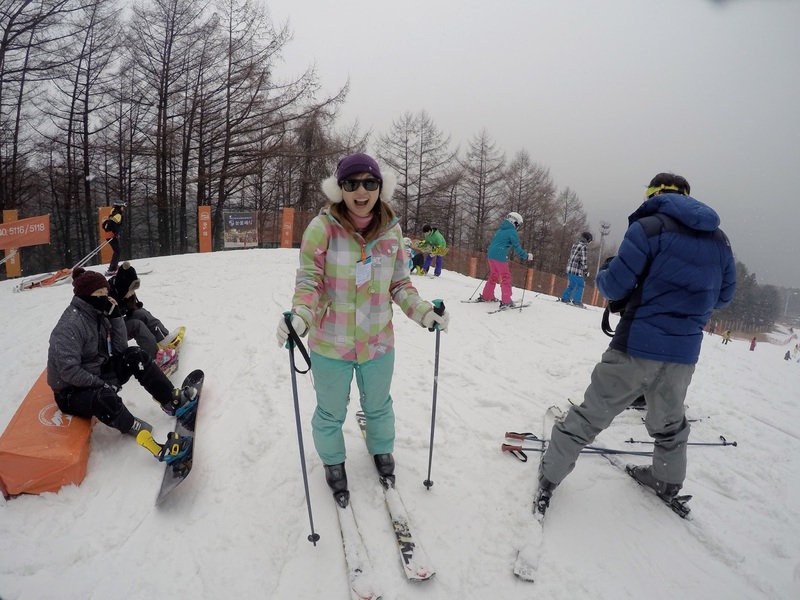 There were really bad falls that I feared I'd get seriously injured. I saw numerous patrols in their snow mobile rescuing injured people, luckily I was not one of them. I told myself that I should finish this safely without harming myself (it was just our second day!) and unbelievably after falling for 100x I crashed at the finish area lying down without any injury. THANK. GOD. That was a relief! My kuya and I still had few more hours to spare but we figured our first try was more than enough. Although I was thinking now that we should have gone up the other slopes just for the sake of taking photos of the winter landscape. I bet the other views were all enchanting. So when we were walking towards the cafeteria we saw this. An escalator for kids and beginners me where the the slope is not far and high and you don't need a lift. Nyaks! It's okay, Cham at least we had a good view. Why didn't I see you before??? Why??? We weren't able to check the sledding slope as it was way far. Sayang! I want to experience that too! Hahaha, ayaw paawat! 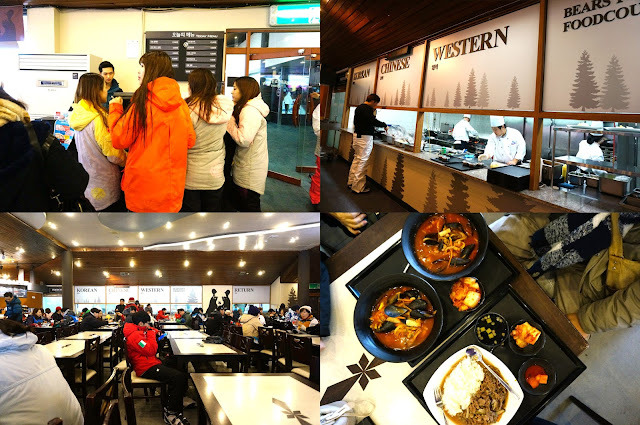 After all the skiing fiasco it was time to reward myself with a hefty Korean lunch. They have numerous cafeterias scattered around, we chose the one near the parking area. 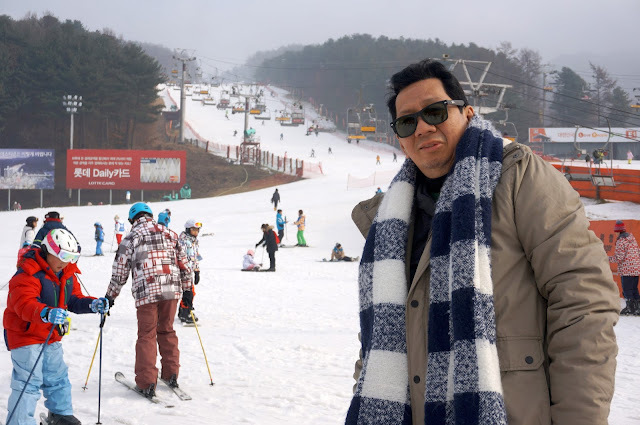 I ordered Beef Bulgogi for 9,000 won (P355) and a hot chocolate for 2,900 won (P115). And because it was just 2pm, we strolled around the resort and took as many photos as possible. For those of you who want to stay overnight or longer at this resort they offer different accommodations that ranges from 192,000 won - 354,000 won (P7,500- 14,000). If I were to come back I will definitely book an overnight stay here plus enroll in a ski school. 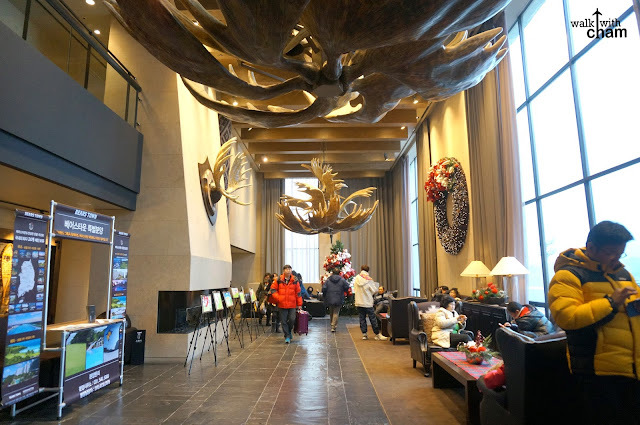 We checked the cozy lobby to kill time (it has complimentary WiFi). 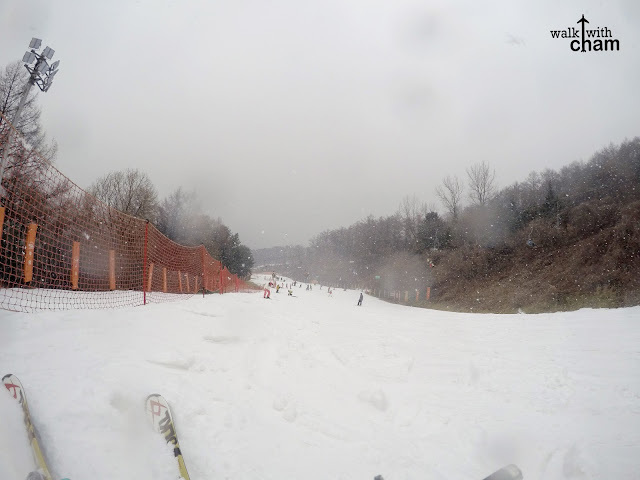 Before 5pm we walked towards the shuttle and bid goodbye to the snow :( Kindly take note that the location of the departing shuttle is different from the drop off. You have to walk farther so it's better to ask the traffic patrols like we did. 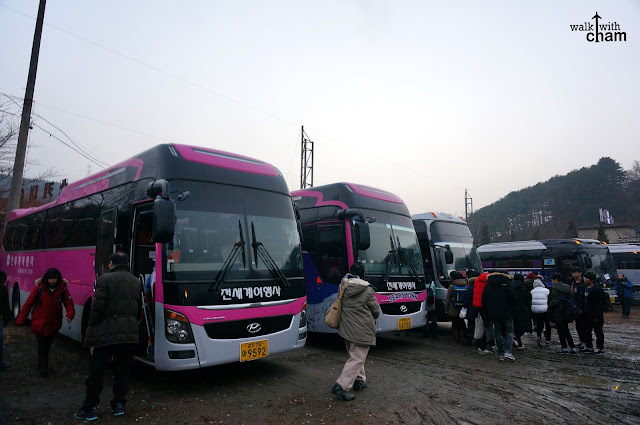 *** The bus passes at Sinseoldong area where our loft was located, we asked the driver if he could drop us off at the bus stop and good thing he did. So if you were to stay at the same area as ours you can also alight at the Sinseoldong bus stop to save money and time. Hi! 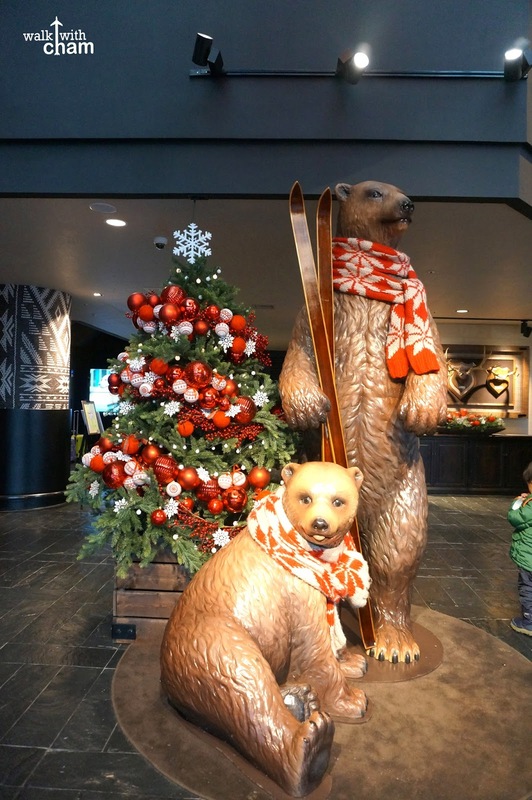 We're planning to visit Bearstown this December, but I'm not sure if there would be real snow. When did you go there? Hello! Is there like an admission fee that you have to pay? How much did you spend for the day? 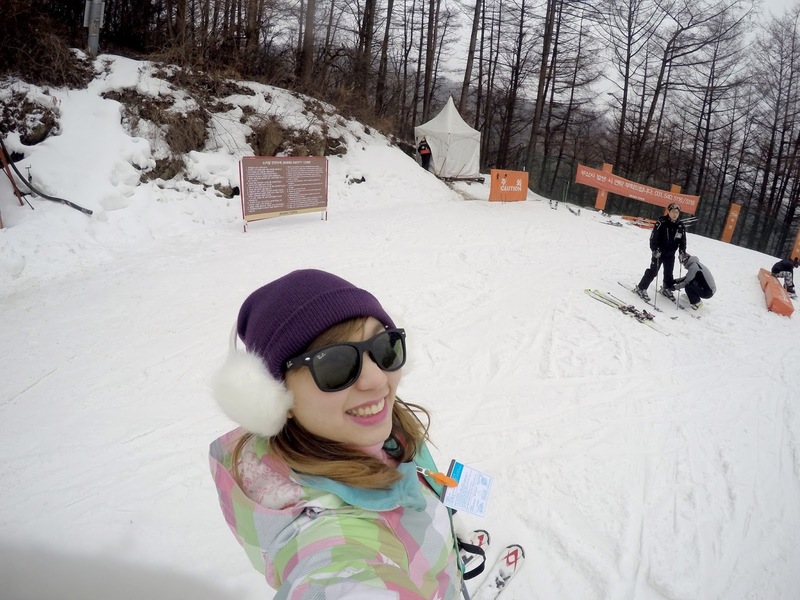 Based from what you've heard, which ski resort would you recommend? Bearstown or Jisan? I heard jisan has an admission ticket of 47,500 won for 9am-4pm. Did you have to pay for admission ticket in Bearstown? The rental fees are cheap compared to other ski resorts. Did you get a discount or something? So you had no skiing experience but still survived? 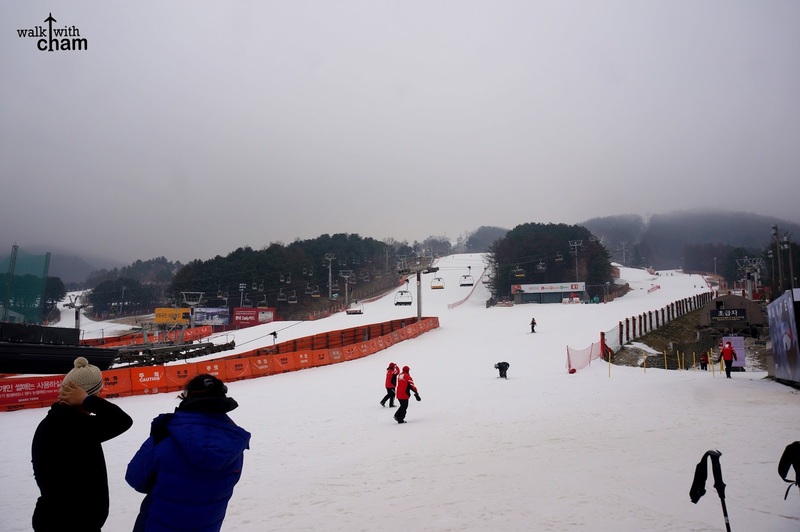 ^^ Going this December and I have no skiing experience at all. Not sure if it's okay. hello! i just wanted to know.. do we have to do a booking in advance to ski there? 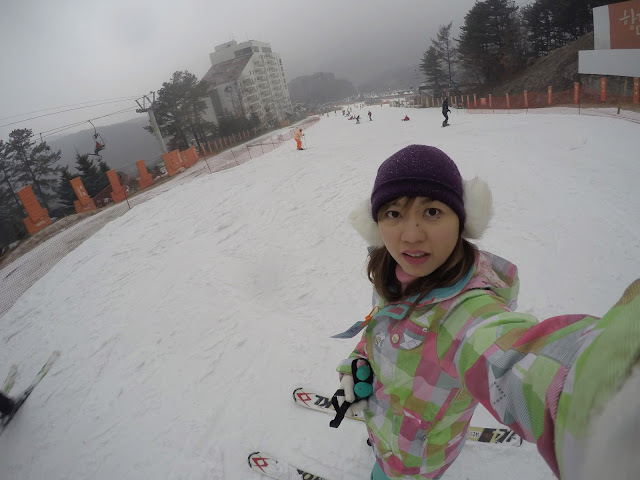 Hi, I am just wondering for the ski lift price stated at ur blog. Is that really that cheap?! Hi! Yes, I was wondering the same thing. 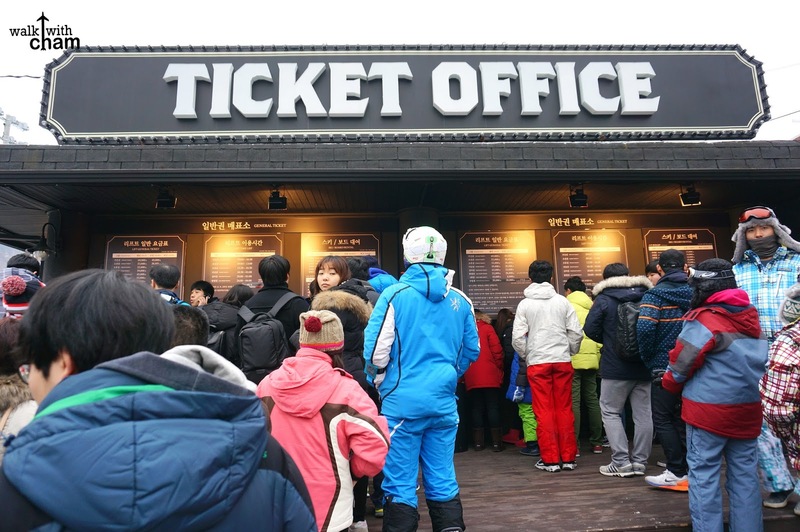 I am looking at the Bears Town site and it says the lift price for 4 hrs is 59,000 won. 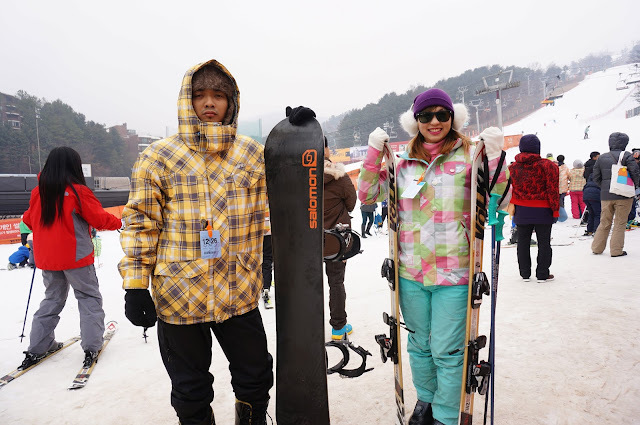 Ski rental is 21,000 won, and Ski Wear Rental is 15,000 won. Was there a discount coupon you used? 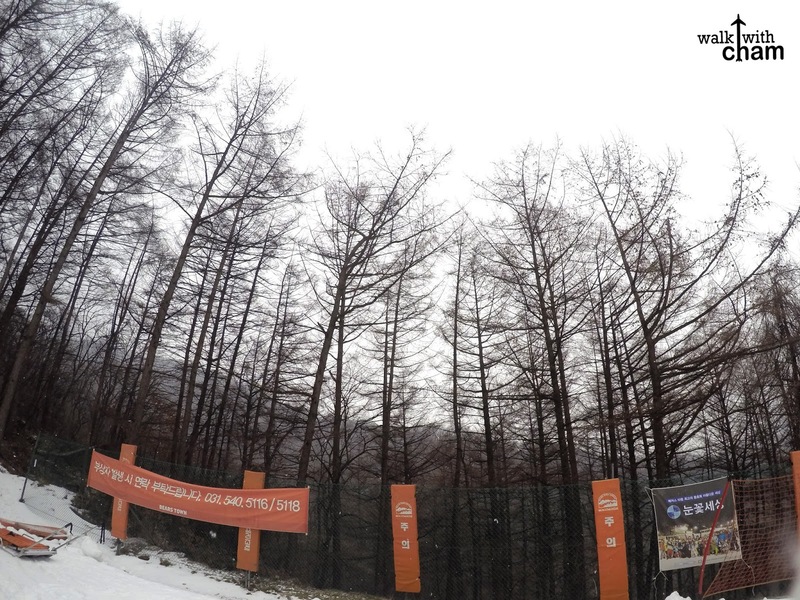 Or maybe the prices really just have gone up for this ski season? Anyway, thanks for providing lots of useful info on your blog. Hello! Nice blog btw sobrang organized and detailed. Can I ask a few questions about sa Ski in Bearstown. - Yung Sled po ba may additional pa na bayad or included na din siya sa entrance? - Yung place po ba niya may nearby na taxi? 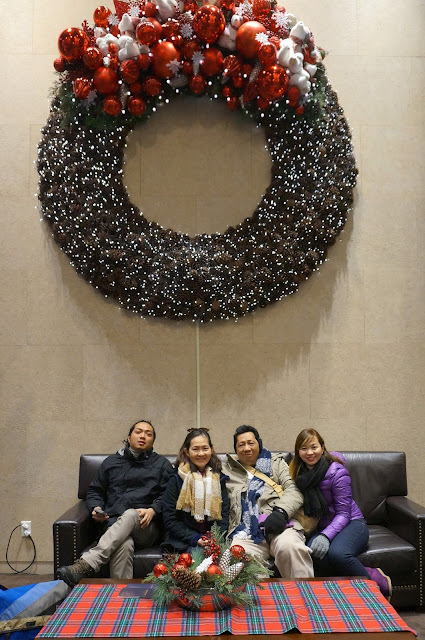 We are planning kasi to have a half day ski then a short side trip siguro. - Yung pagbook niyo po ng shuttle bus mga anong estimated month and/or day po, kasi nung nagcheck ako kanina sabi lang "We are preparing the 16/17 winter season." Hi. i am planning to rent ski gear ng AM time. 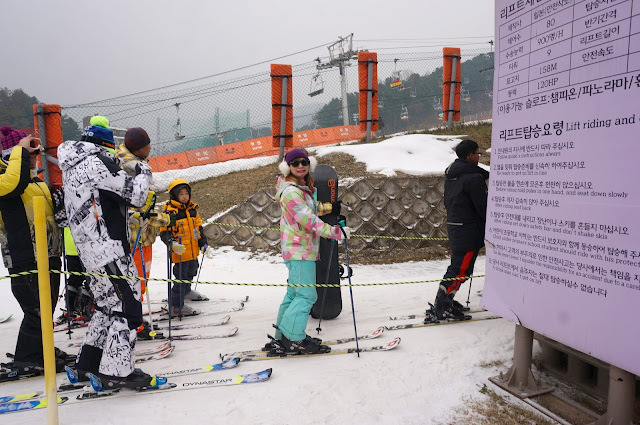 after ng ski rental (1pm) pwede pa bang magstay sa resort? 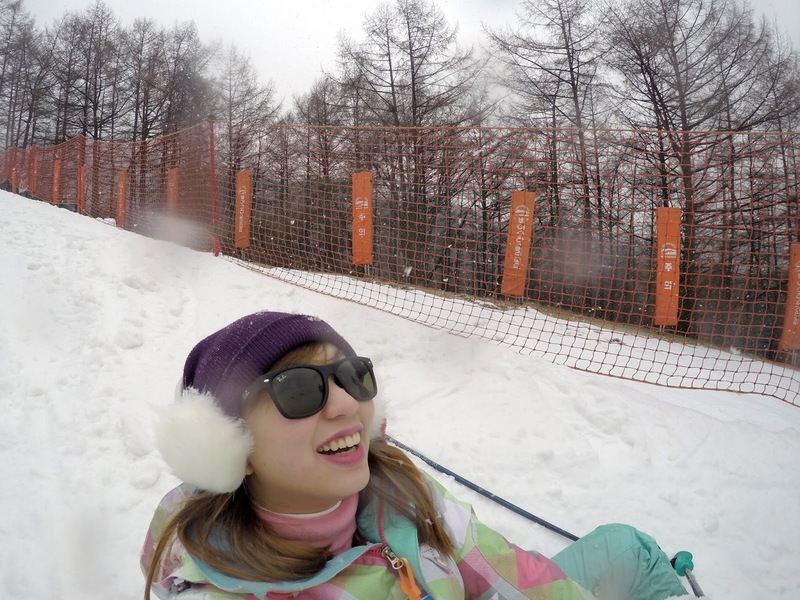 i want to try the sled sana after mag ski. 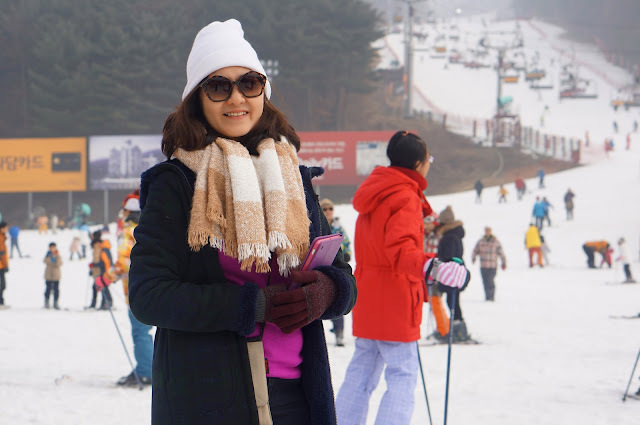 Your write up, itinerary and tips are very helpful as we are travelling to korea on jan 12 - 17 and currently creating our own schedule and activities. Hi! When you book the bus tickets in advance? Gaano kaaga dapat? 1 week before or kaya ba na the day before? We are planning to visit this place this coming january 11, 2017. 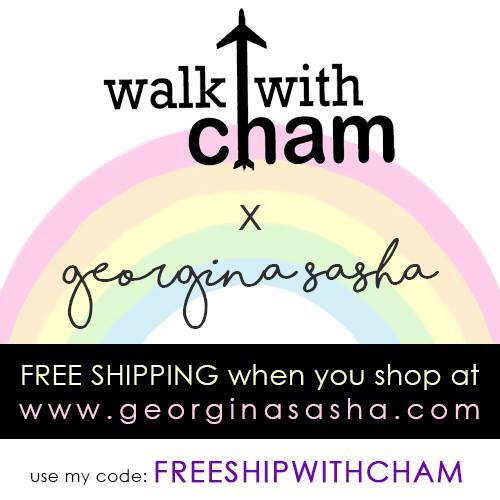 Do we need to prepay everything online in advance or do we just pay in cash on site. 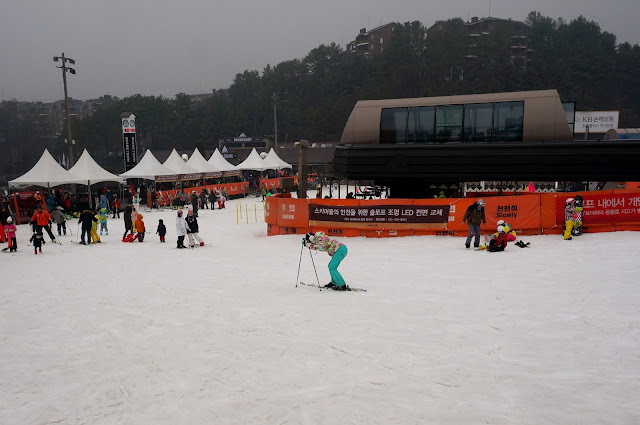 how much was the total cost per person for a basic ski experience, without the ski lessons and excluding food. Just the shuttle fare, ski gear rentals, clothes and ski lift..